Some aviation experts consider the FIAT G55 Centauro the best single seat fighter produced for the Italian air force in World War Two. The Fiat G.55 Centauro was a redesigned version of the G50 Freccia. Differences included a DB 605 A-1 engine, an improved fineness ratio of the fuselage and a redesigned wing, built in 2 sections, bolted together at the centerline for greater efficiency. Metal stressed skin was used and the metal framed aileron was fabric covered. The second prototype of the Fiat G.55 Centauro. The first prototype flew on April 30, 1942, and production started the beginning of 1943. The initial model was the G55/0 which held a 20 mm MG 151 cannon and (4) 12.7 mm Breda SAFAT machine guns. the best fighter in the Axis. 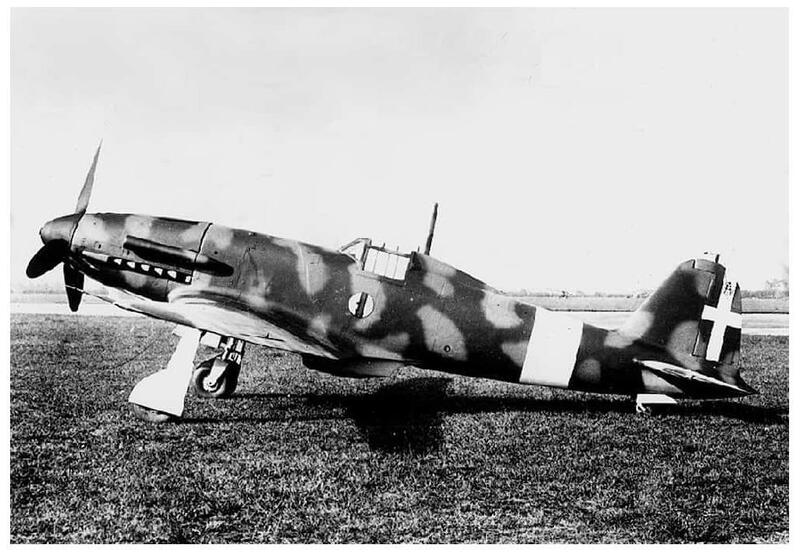 The Regia Aeronautica ordered 2,400 Fiat G.55’s. Prior to the armistice, only 16 G.55/0’s and 15 G.55/1 had been delivered. The Italian Socialist Republic (Repubblica Sociale Italiana or RSI) air force, Aeronautica Nazionale Repubblicana, continued with production of the aircraft following the armistice. A rear view of the Fiat G.55 Centauro. Two Fiat G.55 Centauro’s in flight. Other models developed based on the G55 which were the G55/II with 5 20mm cannons and the G55/S Torpedo Fighter, which carried one 2,176 lb Whitehead Fiume torpedo beneath the fuselage. Both of these variations of the Fiat G.55 flew in 1944. Production of the G55/As and G55/Bs resumed for foreign export following the war. Fiat reinstalled the production lines to produce the Fiat G.55A armed with either 2 wing-mounted 12.7 mm machine guns or 2 20 mm cannon plus the 2 12.7 mm machine guns in the cowling. 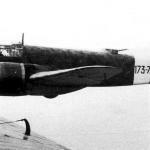 Nineteen G.55s went to the Italian air force and 30 to Argentina. A 2-seat trainer version, the Fiat G.55B was built in 1946 with 10 going to the Italian air force and 15 to Argentina in 1948. A pilot making preparations to fly the Fiat G55 Centauro. In March 1943, a German commission evaluated the performance of the Fiat G.55. The commission was headed by Oberst Petersen, who compared the aircraft’s performance with the Fw 190 A-5 and a Bf 109 G-4. Following the tests, Petersen telegraphed Hermann Göring and stated the Fiat G.55 was the best fighter in the Axis. Fighters; Volume Two: Author William Green. Hanover House: Garden City, New York. 1961.